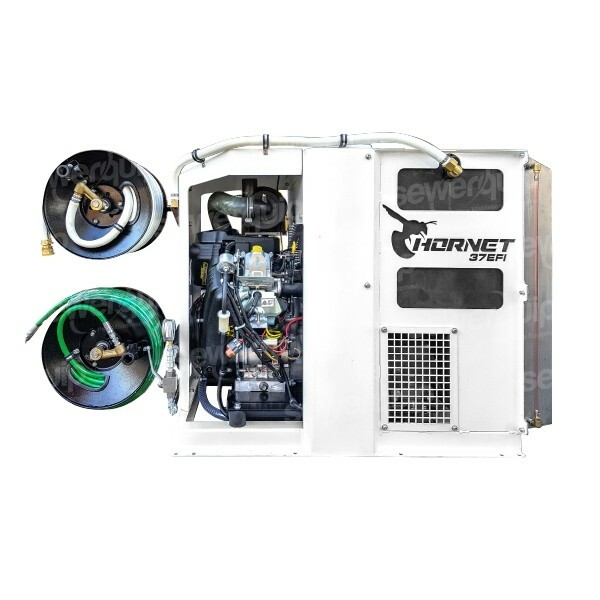 The New HORNET 37EFI water jetting unit is a result of customers asking for a more powerful, but compact jetting system. This system is designed for domestic & commercial maintenance plumbers that require a powerful water jetting unit that is still compact. A industrial remote control can be fitted to the Hornet 37, that has a reliable 500m range. No more cheap, unreliable garage door remote controls! Unmatched Jetting performance, with endless power. 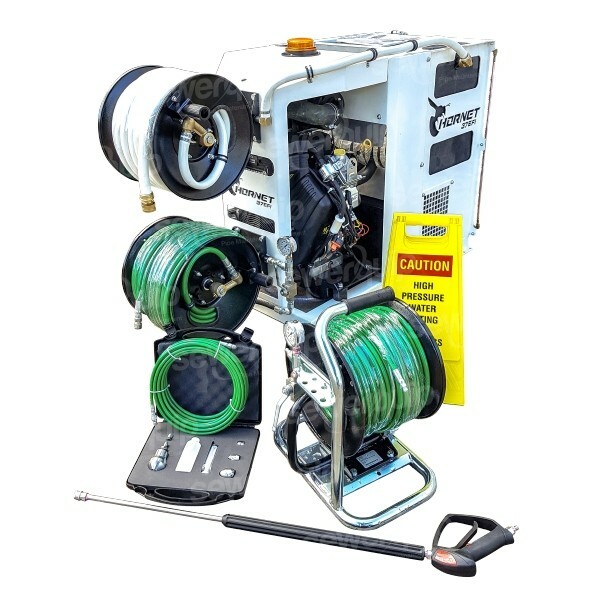 Huge 35 L/min @ 5070 PSI, makes quick work of even the toughest blockages. Powerful 37hp Fuel injected Vanguard engine starts very easily. 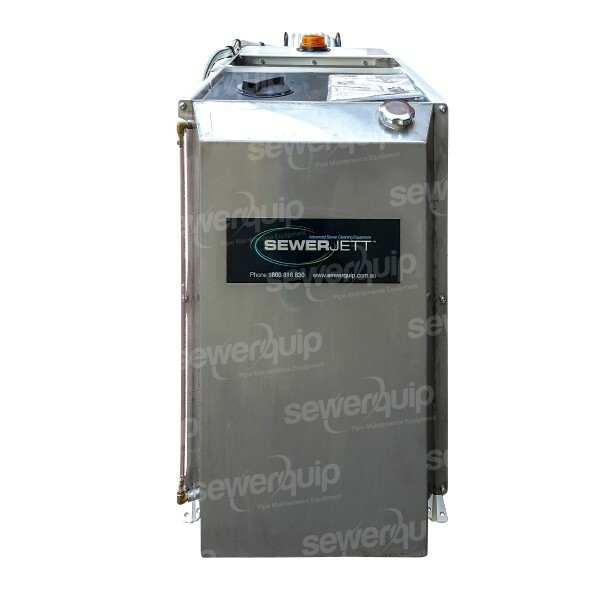 The service access panels make for easy to service & maintenance. 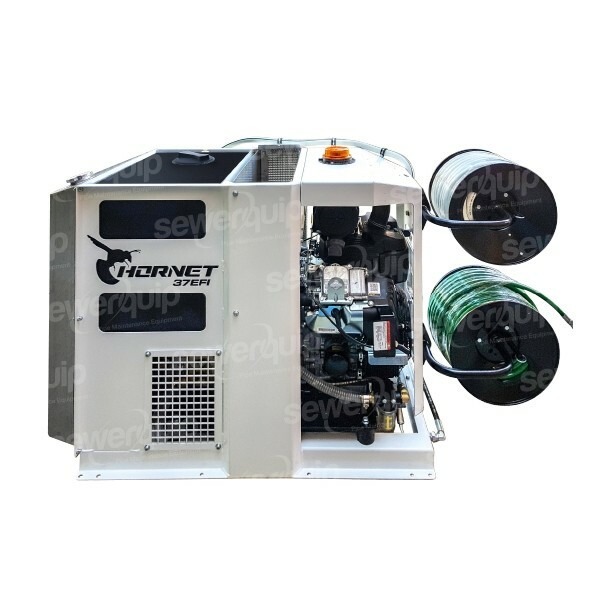 The whole engine & pump package unit can be removed from the frame in under 20min. The frame is designed to offer protection from the weather. 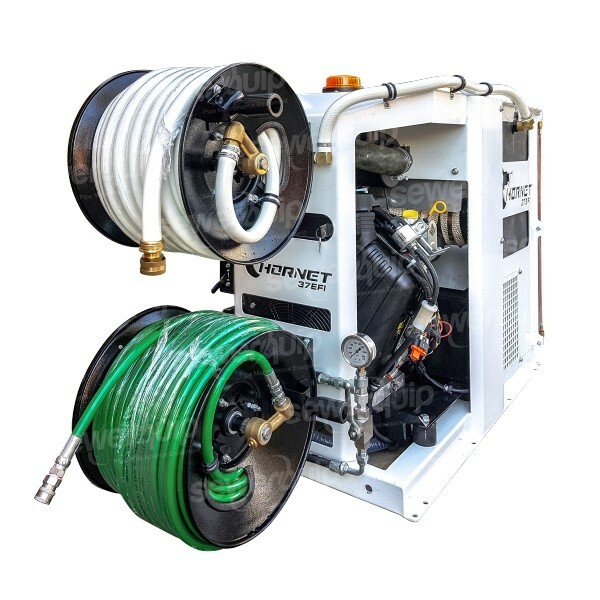 Compact design makes the Hornet 37, the perfect unit for mounting to your ute or van. Industrial Hi-Output remote control option with 500m range. Large water & fuel tanks to allow more time on the job. Designed & manufactured in Australia for the Australian plumber. Australia wide service back up.